A printhead of a large-format ink-jet printer moves across the page. 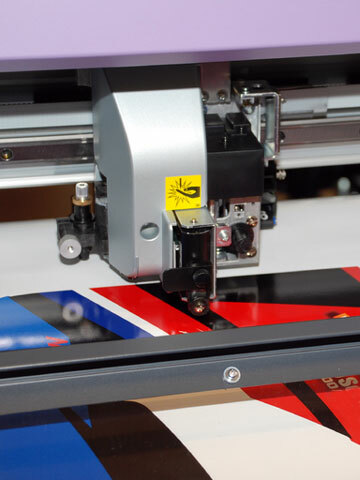 Large-format printers are capable of managing large projects, such as newspapers, advertisements, banners, and posters. In this photograph, the printhead deposits black ink and color ink as it moves across the page.